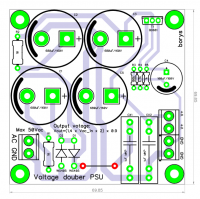 Voltage doubler PSU is may be used as a separate power source for amplifier input stages (some component adjustment is required) or for the vacuum tube project/preamp. Main idea is to get the job done without buying separate transformer. 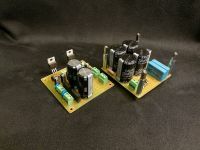 Our amplifier main transformer voltage can be doubled with just a few simple components. 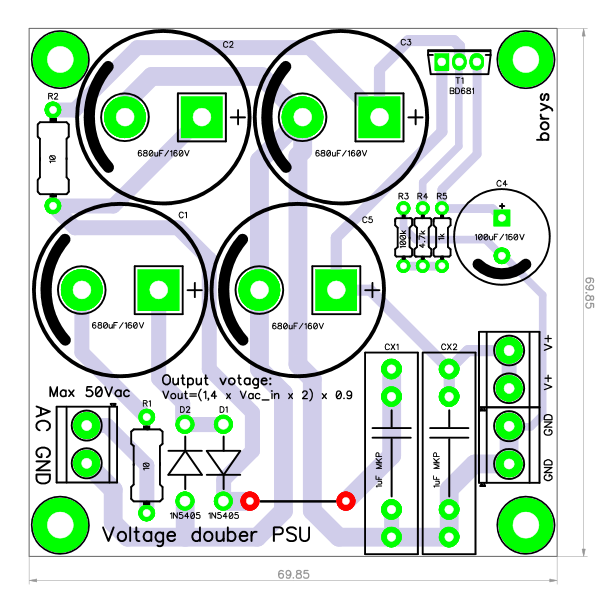 Circuit works in very simple way, output voltage is bootstrapped to the twice higher value, another stages are required for smoothing it out. Simple modification change the circuit to the stabilized version, just replace R3 reference resistor with correct rated zener diode and job is done. 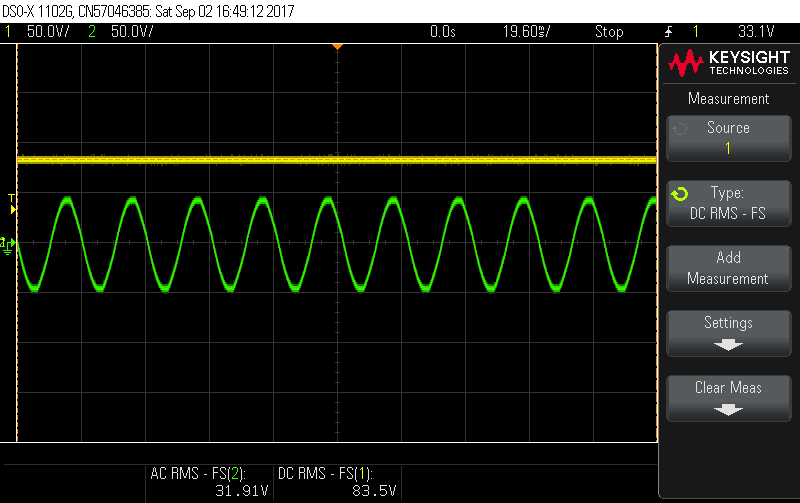 Just bare in min that heat losses are proportional to the output current and voltage drop across the PSU.